I interviewed Julia Dzafic, the creative mind behind the blog Lemon Stripes. 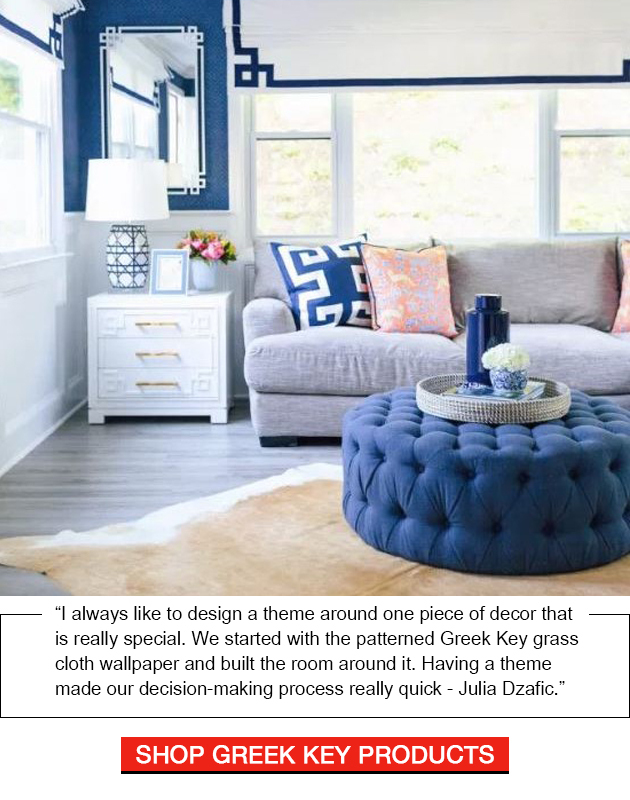 She used a Greek Key motif and a predominantly blue & white color scheme to decorate her family room and has some great tips!
" The texture and pattern make a big difference. 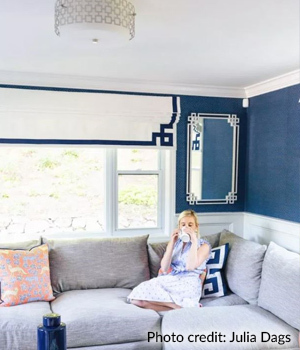 The wallpaper gives the whole room a glam, upscale vibe that we love." Tip 3: Add a pop of color!
" 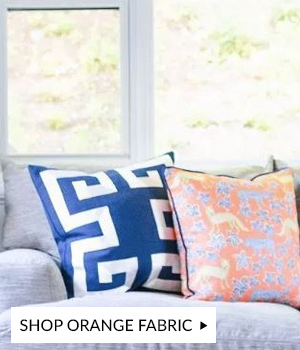 The orange fabric on the pillows was perfect! It brought in the blue hues and had an interesting pattern. The navy piping completes the look." 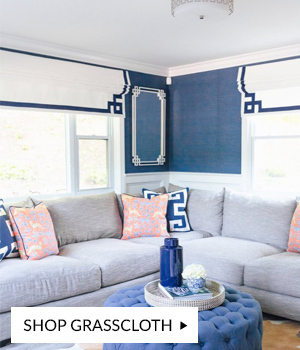 " Styling a room is half the battle in decorating! I selected several picture frames worked well together in shades of blue. 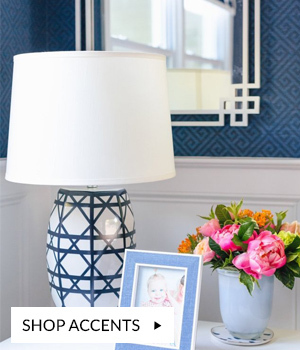 Then I placed ginger jars and coastal baskets around them to bring in a fancier element." " When designing a room, don't just go for looks. Think about function too! We use this room a lot for movies and hanging out so it had to be equal parts comfortable and chic."